A well-performed waltz can move those watching it unfold on the dance floor. The audience can get caught up in the seemingly intricate steps and the flow with which the dancers move. However, one small misstep can change the entire vibe for both the audiences and the dancers. As with dancing, influencer marketing can be both beautiful, and filled with stumbling blocks. Influencer marketing has become a much larger part of the way that successful brands approach digital marketing. In fact, a recent study from McKinsey found that influencer marketing (which falls under Word of Mouth marketing) shows an average of a 37% higher retention rate and twice the amount of sales when compared to paid advertising on its own. However, influencer something is not something you can simply dive into without knowing some of the basic steps. 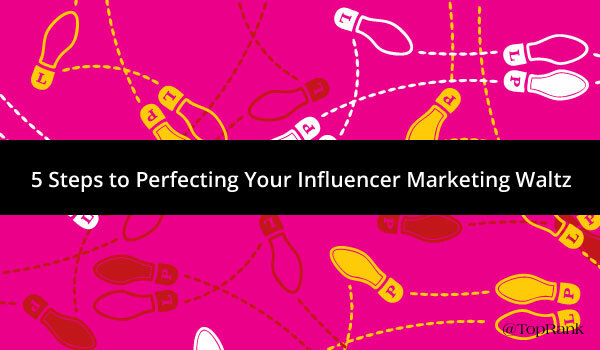 If you want to learn how you can avoid stumbling when working with influencers, follow the five steps below to ensure that your influencer marketing program is choreographed like a fine waltz. The first step in creating a successful influencer marketing program is finding the right influencers to collaborate with. Who you choose to collaborate with is incredibly important. These should be people that your customers are interested in hearing from, know of and respect. We recommend utilizing a mix of brandividuals, niche industry experts, customers and other individuals inside and outside of your organization that can add value. Remember that these collaborators can help increase the reach of your message so it is important that they are invested in the outcome. Email and social networks have largely taken over as the most used method of communication for business professionals. Because of that, their inboxes are often flooded with business communications, newsletters and more. Because of the overwhelming amount of communication received and consumed each day, it is getting harder and harder to get the attention of professionals you’d like to participate in your influencer marketing program. To stand out in a sea of messages, your chances of success greatly increase if you have some sort of pre-existing relationship with the person you’re reaching out to. In our digital world, it’s not always the case that you will have met these people in real life and exchanged a handshake, but there are other ways to connect. Social media and content provide great platforms for creating meaningful interactions. It can be as simple as commenting on their blog, mentioning them in a social media post or taking the first step to get connected. Once you’ve put in the effort to build a relationship with influencers that can help create value, you’ll need to decide in what capacity you’d like their participation. I’d recommend starting with a simple request such as a quote or for them to provide insight on a particular topic. Keep in mind these are busy people and especially for your first time collaborating, you need to ensure that you’re making it as easy as possible for them to respond. It can also be a good idea to share examples of other responses that you’ve received (if there are multiple influencers being used) so that they can get a sense of what you’re looking for and even the ideal length of their response. An acquaintance asks for your help and shares how they can help you in return. While it can be easy to get caught up in the marketing and business goals you’ve set forth for your influencer marketing program, you have to consider the needs of your influencers. Especially with the large number of requests they likely receive, your chances of getting a response will greatly increase if you offer them value. Value can come in many different forms including exposure for their brand or business, help building their personal brand or even some sort of monetary reward for their contribution. There are many benefits in working with influencers. They can add third party credibility to your brand message and depending on their own network size and publishing habits, they can skyrocket your exposure. In addition to making reasonable requests when trying to convince influencers to participate in the first place, you have to make it easy for them to share the message as well. When working with influencers on projects like eBooks or larger content assets, a few extra moments of your time preparing a personalized message for those that participated. This could include sharing the link to where the asset lives, an embed code for them to share on their blog or website (if applicable), pre-written social messages promoting their participation. These are only a few examples of simple things you can do to have your influencers help promote your message in a few simple clicks. 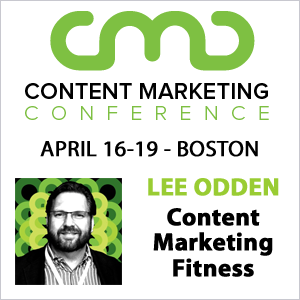 There are many opportunities to add your own special flare to the influencer marketing dance. However, following the steps above will help you cover the basics of a successful program. Once you learn these steps, you can begin to explore more complex influencer marketing opportunities that will help you achieve even greater success. Need help launching a successful influencer marketing initiative? TopRank Marketing can help. First, I like the headline. Second, i like the way you write. And third, I like your article. Advice you gave are clear and useful. Looking forward to read more from you, Ashley. I like how you ended this article. It is true that there are other things that you can incorporate with this 5-step guide you have here and it would help along the way. For me, I’d add “6. Form a good brand-to-influencer relationship” because that also help along the way. I disagree with one-off influencer promotion because I don’t want them to feel like they’re simply being used. Could not agree more! It has to be a mutually beneficial relationship that goes beyond one project and evolves into something much larger! 🙂 Thanks for your input.